What a close encounter: Russian Su-27 and British Typhoon. On Jun. 17, Royal Air Force Typhoons were scrambled to intercept multiple Russian aircraft as part of NATO’s Baltics Air Policing mission. As usual, the Russian aircraft were shadowed and escorted on their way. 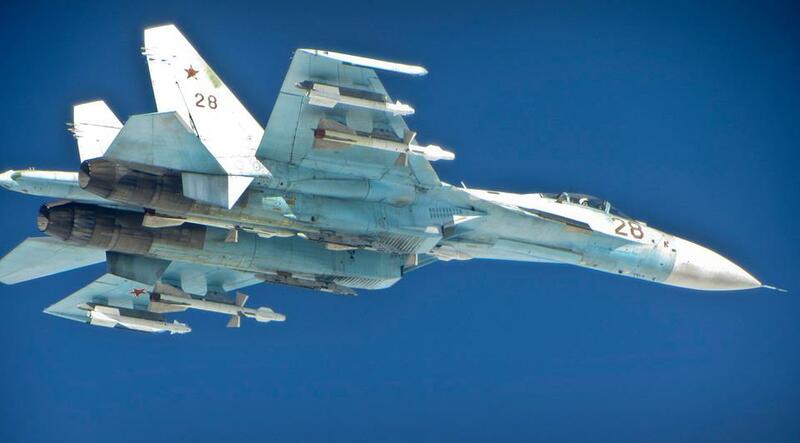 Russian Bombers Fly 50 Miles off California. F-22s and F-15s intercept them.